Treatments take approximately 5 - 10 minutes depending on the size of the treatment area and the condition being treated. During this treatment your pet will experience a soothing warmth that often relaxes patients, and sometimes makes them go to sleep! WHAT TO EXPECT DURING LASER THERAPY? 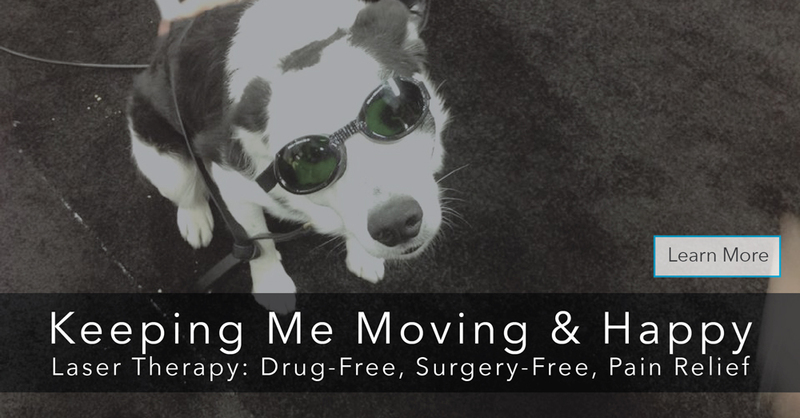 Laser therapy is a noninvasive treatment designed to reduce pain and inflammation, and to speed healing. This treatment is quickly becoming standard of care in both human and veterinary medicine. 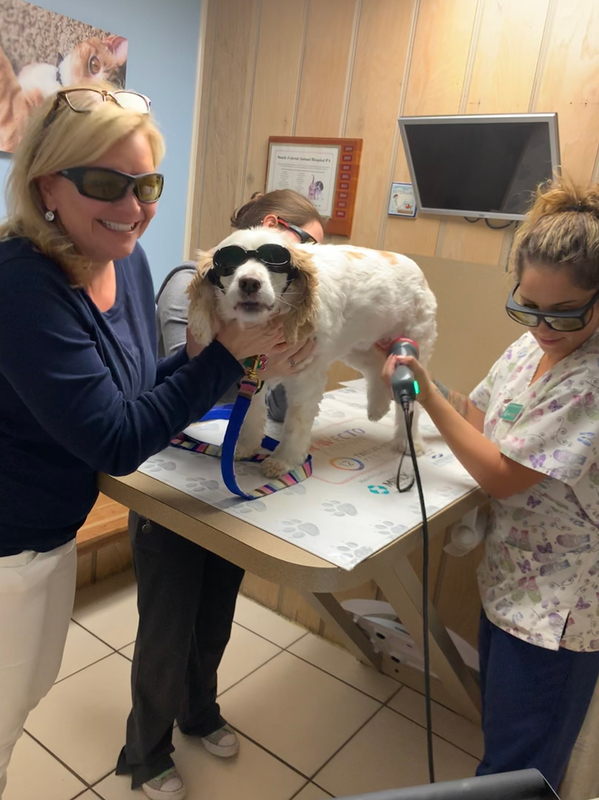 Our staff members administer laser therapy via a handpiece that emits this therapeutic infrared light in a fast, drug-free, and soothing treatment. The light can treat surface problems such as wounds, as well as deeper structures, penetrating through fur, skin, and fat if necessary to reach damaged tissue. The therapeutic infrared light targets the mitochondria in damaged cells and stimulates them to regenerate and stimulates them to return to optimal function. This regenerative process is called photobiomodulation (PBM). PBM does not impact normal cells, but can help damaged cells to recover from injury faster. Laser therapy can be utilized as an adjunct to existing treatments, often reducing or replacing the need for pain medications.